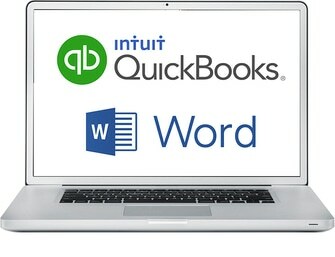 Easily send invoices, letters, packages and more. 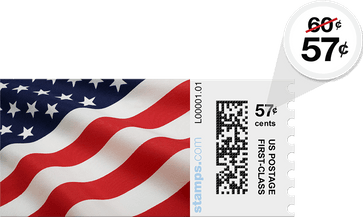 With Stamps.com, you can easily buy, calculate and print official USPS® postage for anything from postcards to envelopes to packages – domestic or international. Print on a variety of labels, envelopes or plain paper. With Stamps.com, you get all the services of the Post Office and more for only $17.99 plus applicable taxes, if any per month plus the cost of postage. How much postage? What mail class? We’ll figure it out for you. No more guesswork. No more overspending. 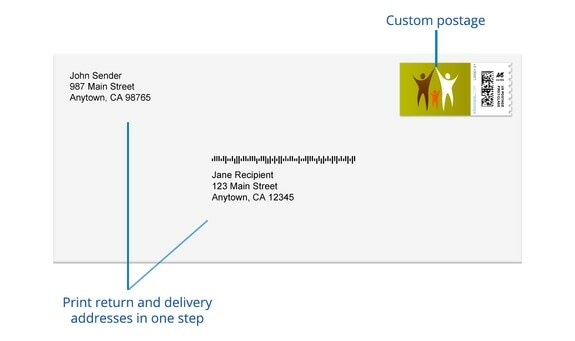 Just place your letter or package on the Stamps.com scale (free with every account) and the exact weight is sent to the software and the correct postage amount is printed. Not sure what mail class to choose? No problem. Stamps.com will help you select the best mail class based on price and delivery time. Why drive to the Post Office? Eliminate trips to the Post Office. With Stamps.com, anything you can do at the Post Office you can do right from your desk… 24/7. No waiting in line. No traffic. No more wasting valuable time you could be using to grow your business. 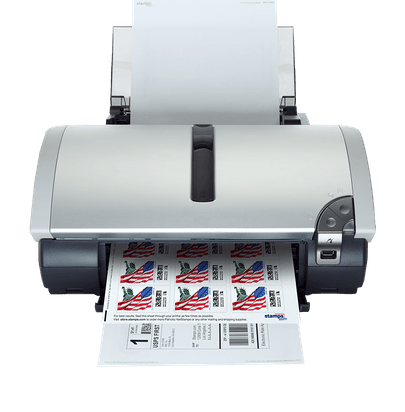 Just print your postage, stick it to your mail and your mail carrier will pick it up for free. More features than a postage meter. 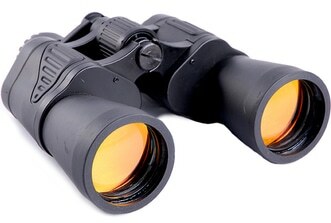 With Stamps.com, you can do so much more than a postage meter for so much less. You’ll avoid hidden fees, service charges, equipment insurance, and eliminate the need for expensive postage meter ink. Best of all, there’s no extra hardware to buy or lease. You already have everything you need. Get postage discounts you can’t even get at the Post Office. 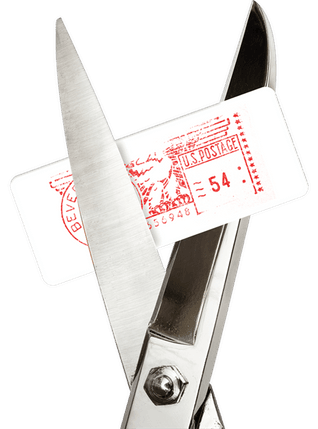 You’ll never pay full price for stamps again! Save a bundle on all mail classes including First-Class Mail, Priority Mail, Priority Mail Express, international and more. Keep track of who’s printing postage and why. Who? When? Why? Stamps.com will keep a detailed record of all the postage your business prints. 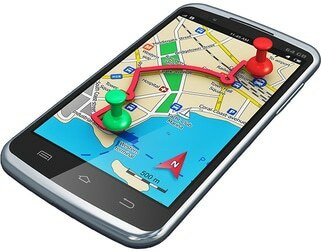 You can even assign cost codes for different customers or clients. This makes it easy for you to control your postage spending. Send mail that makes a great impression. 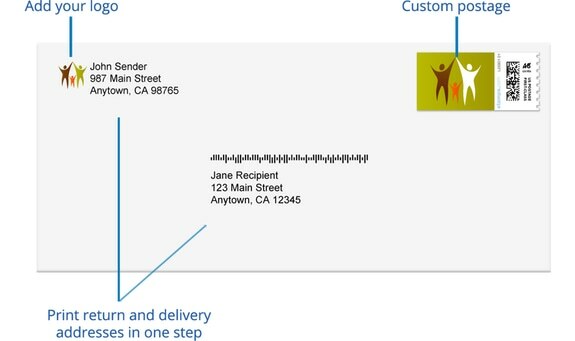 How your mail looks matters. With Stamps.com, your mail will always look polished and professional. Choose from a wide variety of beautiful full-color stamps or customize your stamps, shipping labels or envelopes with your logo or marketing message. How your mail looks matters. With Stamps.com, your mail will always look polished and professional. Choose from a wide variety of beautiful full-color stamps or customize your own. 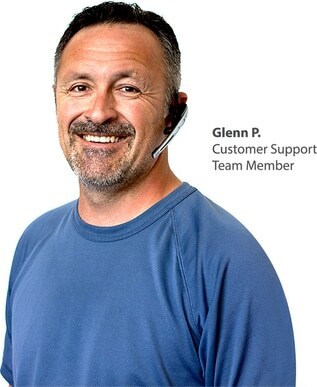 An experienced support team of real, live humans (you can actually talk to). Unlike some of our competitors, we believe it’s nice to talk to an actual person when you need help. Whether you need technical support or just some advice on USPS mailing options, our living, breathing USPS experts are ready to help by phone, email or chat. And don’t worry, you’ll never have to pay extra to talk with a real person.